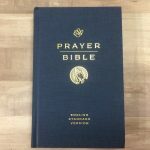 The purpose of Bible Buying Guide is to provide a single place to read reviews of Bibles and related materials including books, software, DVD, audio, etc., with high-res photos to help readers make good purchasing decisions. 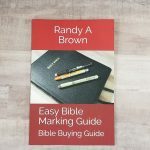 Bible Buying Guide’s mission is to promote Bible reading and study, and the production and buying of quality Bibles with the most useful features and the best design. Many of our reviews include affiliate links. This means we get a commission if someone buys through our links. We greatly appreciate anyone using our links as it helps us keep this site running and make improvements. We never give a positive review just to make a sale. We will always be honest in our opinions. We review Bibles and materials that we feel our audience is interested in. We won’t use phrases like “the font is too small”. I don’t find those types of phrases helpful. It might be too small for me but not for you. Instead, we’ll try to describe the typeface so that you can decide for yourself if it’s too small for you. We try to be as thorough and honest as possible. Our goal is to remain theologically unbiased and honest. With that said, we do believe the Bible is the infallible and inherent Word of God and we take a literal view when possible. 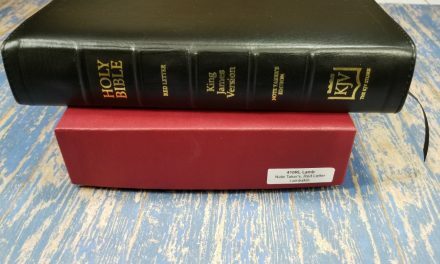 Many of the Bibles we review are study Bibles. We do not critique theology (it’s not about our theological opinion), but we do try to report on the type of theology that’s presented and the quality of that presentation. It’s about helping you make the best decision. We get many of the Bibles and materials for free for review. This does not influence our opinions in any way. We are more concerned about accuracy and credibility to our readers than being liked by publishers or getting clicks on affiliate links. My name is Randy A. Brown and I’m the primary Bible reviewer here at BBG. I’ve been critiquing Bibles and their designs since the early 1980’s. My first review copy was the hard cover NKJV from Thomas Nelson in 1984. I’ve been writing Bible reviews since 2010. 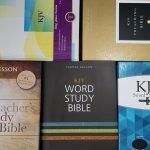 I’m a writer at heart (and now by trade), so in 2011 I started this website to have a place to focus on Bible reviews and I’ve enjoyed every minute of it. BBG is now a family effort. My wife Lucinda reviews journal editions, Bibles, books, writes journaling tutorials, and manages our schedule. My daughter Hannah is our photographer and our son Matthew does a lot of work behind the scenes and gets most of our articles structured with the basic information. My Bible review bug has rubbed off on all of them and I am grateful for their help.